Everyone needs a dentist during their lifetime. Whether we survive dental treatments without any fears easily depends on one thing only: Whether we have chosen a good dentist or not. So sooner or later everybody must face this question: how to choose a dentist? How to choose a dentist in a foreign country? The dentist’s personality and their attitude towards us is a determining factor. We will not be afraid of the intervention if the dentist explains what to expect and answers our questions in detail. It is important that we be not afraid to ask, even if we feel that our question might sound silly. The answers will make our fears and uncertainty disappear and we will undergo the treatment feeling calmer. A good dentist treats us like a partner during the intervention. Everything we say is important to the specialist. The doctor will chose the appropriate treatment only after consulting with the patient and knowing their threshold of pain. This way they can customize anesthesia among other things. Appropriate anesthesia can make the intervention completely painless. A good specialist makes sure that the patient does not suffer unnecessarily. 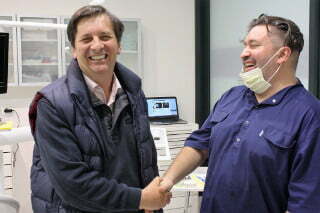 Hungarian dentists are acknowledged all around the world thanks to their professional knowledge and emphatic attitude. So you are quite safe when you choose a Hungarian dentist. The majority of dental professionals are comfortable with any type of dental treatments. However, it is always good to choose a doctor who is experienced in the procedures that are necessary for us. This is especially important in the case of oral surgeries and teeth implants, as these belong to the more serious type of dental interventions. Nowadays it is very easy to get all the necessary information in advance, thanks to the internet. We should choose a specialist or dental clinic which has an up-to-date website on which we can even look up records of their previous works. A nicely filled tooth or an aesthetically made crown can be a convincing argument for choosing a certain specialist. On the internet platforms, we can usually find the prices of the different treatments. This makes financial planning easier for us. It is more and more common for patients to travel to another country for their treatment (especially for dental implants). These treatments are cheaper than the ones they can find in their home countries, but extremely reliable and of high-standard. In this case, the patient must consider not only the price and quality of the service, but also the geographical distance and accessibility. From this aspect, Hungary , a member of the European Union is a perfect choice. EU regulations and the world famous Hungarian medical training guarantee a high professional standard. 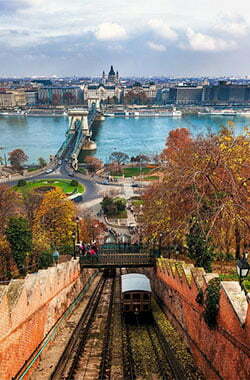 The country’s capital city, Budapest – a beautiful city, by the way – can be reached within a few hours. Thanks to low-cost airlines, you can travel at a very affordable price. When you choose a foreign clinic, communication is especially important, since it is not always possible to personally get to know your dentist beforehand. At our company, this is not a problem. Thanks to our favourable Teeth-check package, you can get to know our clinic, your doctor, the staff and even Budapest within a day. During this meeting, we will discuss your questions in detail and we can talk about the events that you can expect during your treatment. It can also be a deciding factor whether the service includes assistance. It makes a big difference whether you have to get by alone in a foreign city or you are offered help. In case of our clinic, an assistant will help you from the very first minute throughout your treatment. They will offer help in booking plane tickets and accommodation, as well as accompany you after your arrival. This way you can feel safe throughout your stay.